To reach the apex of this inspiring message, though, Springsteen has to start by establishing a problem, a challenge for the soul to encounter, and that’s where the economic material comes in; he uses the financial crisis and death of the American middle-class as a touchstone, a source of pain and anger that will instantly resonate with most listeners. It’s mostly contained to the first five tracks, a wonderful set of songs that play like an amped-up, modern-America sequel to The Seeger Sessions. It’s folk music through and through, political only in the sense that all politics start with the people, and Springsteen is once again telling the people’s stories. “We Take Care of Our Own” is a snapshot of contemporary American attitude; it expresses an increasingly universal feeling of wandering, the search for the American ideal that seems to grow more distant with each passing day: “Where’s the promise, from sea to shining sea?” Meanwhile, the singer of “Easy Money” figures that if the “fat cats” on Wall Street could rob millions without going punished, then it’s only natural that he and his lover go out “lookin’ for easy money” as well. “Shackled and Drawn” is a rousing, big-band sing-along through the streets of – for lack of a better term – hell, while “Jack of All Trades” puts is in the gloomy mind of one wandering worker living on those streets. The Irish-laced rocker “Death to My Hometown” is rather self-explanatory. These songs are more or less what one would expect of Springsteen writing about modern America, only sharper and more hard-hitting than his original material has been in some time. The lyrics are lean, direct, and passionately performed; like Darkness on the Edge of Town or Born in the USA, they tap into the everyman’s hardships and anger with profundity and eloquence, chronicling our times with a musicality that will keep the songs relevant for decades to come. But starting with the sixth song, the somber and hopeless “This Depression,” Springsteen modulates into broader thematic territory, and this is where Wrecking Ball starts coming into its own as a unique and meaningful masterwork. The singer’s sadness is no longer contained to one circumstance or crisis, and Springsteen invites anyone with a pained spirit to put themselves in the singer’s place. If you can’t relate to the characters of the first five tracks, you’ll certainly find common ground from here on out, for a battered soul is a universal condition. That’s the album in a nutshell: pain is only temporary. Nothing ever ends: good times, hard times, glory, defeat – it’s all cyclical, and yet we always have the strength to see it through to whatever comes next. That’s the power Springsteen sees in the human spirit, an ethereal yet palpable power that allows us to endure. I read the next track, “You’ve Got It,” as a heartfelt ode to that indescribable quality, and in the final three songs, Springsteen expands on this idea and brings it to a rousing, inspirational conclusion. 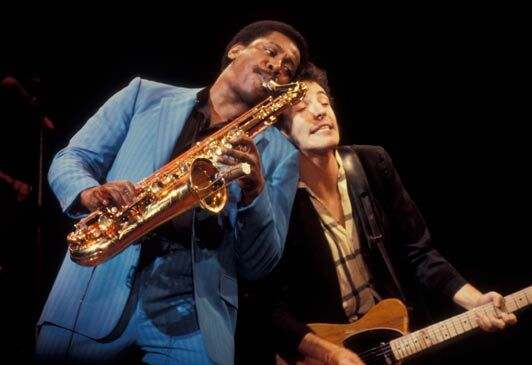 “Rocky Ground” and “Land of Hope and Dreams” function as a two-part Gospel epic, wherein Springsteen elaborates on why the soul is strong: in “Ground,” the characters from across this album – perhaps from Springsteen’s whole body of work – come together to express the sadness of their lives and the difficulty in maintaining faith, but in “Dreams,” they decide to continue hoping, to continue believing in an ideal that may bring them salvation. The “Land of Hope and Dreams” represents America, Heaven, or both, and in either case, the characters depart our world strong by holding hope in their hearts. That’s the core message of the album: because we have the capacity to maintain hope in the face of incredible hardship, our souls continue to live and to thrive even in death, assuring the next generation that so long as one faces life with courage and faith, one will always be able to move forward, eternally undefeated. It’s the value Springsteen has come to see in humanity after forty years of writing music: He’s spent his career tracing hardship – the perils of chasing one’s dreams on Born to Run, the difficulty in holding on to what matters most in Darkness on the Edge of Town, the stark isolation from our own cultures and relationships chronicled in Nebraska and Tunnel of Love – but decades after writing these masterpieces, society hasn’t succumbed. The characters of those albums have existed time and time again, and though their hardships may not have lessened, the fact that they’re still out there – hoping, dreaming, and trying – speaks to an inherent strength at the heart of humanity. In the uniquely American context Springsteen’s always operated in, it expresses the greatness of this country and a belief that one day, we will get back on our feet and once again extend the promise “from sea to shining sea.” We still endure. We still try to push forward. No one’s given up yet, and because of that, Springsteen now sees strength where he once found pain. This is my journey with the album, at least. Yours may differ. 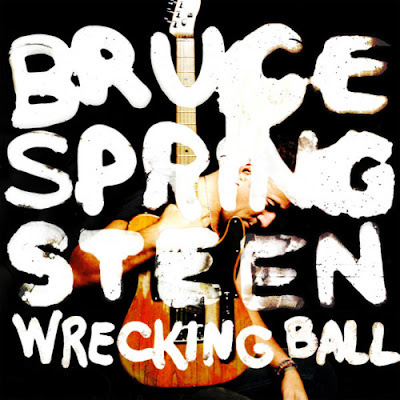 Like Springsteen’s best work, Wrecking Ball is highly interpretive and, therefore, a remarkably personal experience. It’s perfectly sequenced, each song carries weight and a clear purpose, and there are even lyrical connections among the songs one can only spot on subsequent listens. He’ll bring up an idea in one track that forms the basis of another, or a later song may add layers to the lyrics of an earlier one. It’s absolutely fascinating to study, and though I’ve spent a good 1400 words in this review, and pages upon pages in previous articles, diving into the album’s thematic content, none of it would be worth listening to if the music itself weren’t interesting. And let me assure you, Wrecking Ball is one hell of a listen. Producer Ron Aniello deserves a great big round of applause for the work he’s done here, taking Springsteen in different but always welcome sonic directions. Though I love much of Springsteen’s work from the 2000s, most of it felt constrained by Brendan O’Brien’s production, which added a precision and digital sheen that clashed with the freewheeling, impulsive sense of fun and invention that has always fueled the Boss’s best work. Under Aniello, Springsteen is free again. The production is wide-open: big, sweeping, clear, and no matter how complex the instrumentation, uncluttered. Each song plays with a slightly different musical style; you’ll find Folk, Irish-rock, Blues, Ballads, Gospel, Rap, Mariachi, and more in addition to classic Rock n’ Roll, while experimental elements such as loops and samples add a gleeful sense of unpredictability to the music. Most importantly, to my ears anyway, is where Aniello has pushed Springsteen’s voice. Gone are the digital vocal enhancements that bugged the hell out of me on “Magic” and “Working on a Dream.” It’s just Springsteen singing, loud and clear, his voice placed refreshingly high in the mix. And though Springsteen has always been a great Rock singer, I don’t believe his voice has ever sounded as good as it does here. He isn’t just singing: he’s performing, digging deep into each character’s psyche and expressing emotions and moods with a remarkable degree of control. It’s similar to Nebraska in how crucial the performance is in creating atmosphere and meaning, and whether Aniello worked on improving Springsteen’s voice or Bruce just challenged himself, I couldn’t be happier with the results. And though this isn’t an E-Street Band album, you will hear some of your favorite Springsteen compatriots from time to time: Steve VanZandt’s wailing background vocals are a pleasing touch in “Wrecking Ball” and “Land of Hope and Dreams,” Max Weinberg’s drums make a welcome return in the title track and “We Are Alive,” Soozie Tyrell does her usual great violin work across much of the record, and most important of all, Clarence Clemons returns from beyond the grave for the last two saxophone solos of his E-Street career on “Wrecking Ball” and “Land…” The Big Man’s shadow obviously looms long over this album, as it will over everything Springsteen does from now on, and though there isn’t a specific Clarence tribute on Wrecking Ball – because, let’s face it, there will never be a better one than “Tenth Avenue Freeze-Out” – Bruce has instead given him what I find to be an even more meaningful send-off: he’s built Clarence’s ‘tribute’ into the very fabric of the album. Is it a stretch to imagine Springsteen writing “This Depression” after losing his best friend? Couldn’t the demolished stadium of “Wrecking Ball” be a stand-in for the Big Man, gone but never forgotten? If you take away the sexual undertones, doesn’t “You’ve Got It” boil down to a heartfelt expression of the best qualities one human being finds in another, i.e. Bruce in Clarence? The way Clemons is used on “Land of Hope and Dreams,” I envision him as the conductor of the train that forms the heart of the song, returning briefly from the great beyond to guide his friends on the next phase of their journey. To my mind, you can boil down all of Wrecking Ball to that same basic concept. This is one of Bruce Springsteen’s best albums, and don’t let anyone tell you otherwise. Wrecking Ball will be released in stores and online in regular, special edition, and 2-LP vinyl configurations on Tuesday, March 6th. Come back on Tuesday for my analysis of the Wrecking Ball special edition bonus tracks, as well as a review of the vinyl edition of the album. Great review Jonathan. I have enjoyed the level of detail and the considered analysis in your track by track reviews as well. Thanks for the inspiring words. Very nice review, thanks. Honestly, I was somewhat disappointed in the tracks when listened to individually over the past few weeks. However, this morning I listened to the album in its entirety from front to back and gained a whole new perspective. I think that this is Bruce at his artistic best. The layers of commentary in the music and lyrics are manifold. It is definitely meant to be viewed as a single piece of work which leads the listener through a wonderfully diverse and wild experience...similar to life. Very well done. Really enjoyed the track by track analysis. Was just curious, have you done this with any of his previous albums? This is the first I have stumbled upon your work. I would be interested in previous takes if they were written at time of release that is, not with the benefit of hindsight! This is Springsteen's Great Recession Record in the vein of Woody Guthrie and Pete Seeger. Just as we "needed" a Springsteen record after 9/11 (The Rising), we need a Springsteen record that speaks to this great economic injustice. 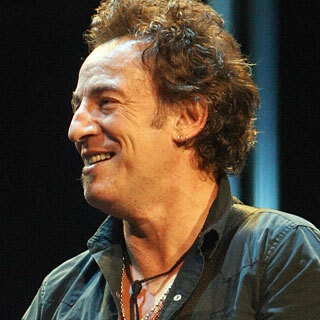 Typically of Springsteen, his lyrics are in stark contrast to his music. These are songs that you want to play loud and even dance to (albeit an Irish Jig) but his lyrics speak of a much darker time for the people struggling in this great recession. What I felt was a throw away song (the title track - Wrecking Ball) when it was written just before Giants Stadium was knocked down - has now become what I believe is the most defiant song on the record. I can see many fans singing the verse "Hard Time Come & Hard Times Go, C'mon and take your best shot/Let me see what you got, Bring on your wrecking ball." And as is Springsteen's way - no matter how bad things get - he ends the record with songs of hope and inspiration. As ticked off as he is - he never fails to find the goodness in people, the strength of our nation's community and that there is HOPE.